Noochu (the People) of St. Elizabeth's Welcome you to worship, share hospitality, and grow in god's love to better serve the church and community. Everyone is invited to join in worship on Sundays at 10:00 a.m.
and to stay for refreshments. ​and youth and AA meetings. turn left (west) on 200 North/Highway 121—the sign in front of the Ford dealer points to the golf course. Proceed 10 miles on the highway as it curves to the north, until you reach the stop sign in the village of Neola. Stay on the main road—it’s the only stop sign. Turn right (east) at the stop sign and follow that road (still Highway 121) for five miles to the next stop sign. ​Turn left (north) at the stop sign and proceed for 2.7 miles to the village of Whiterocks. 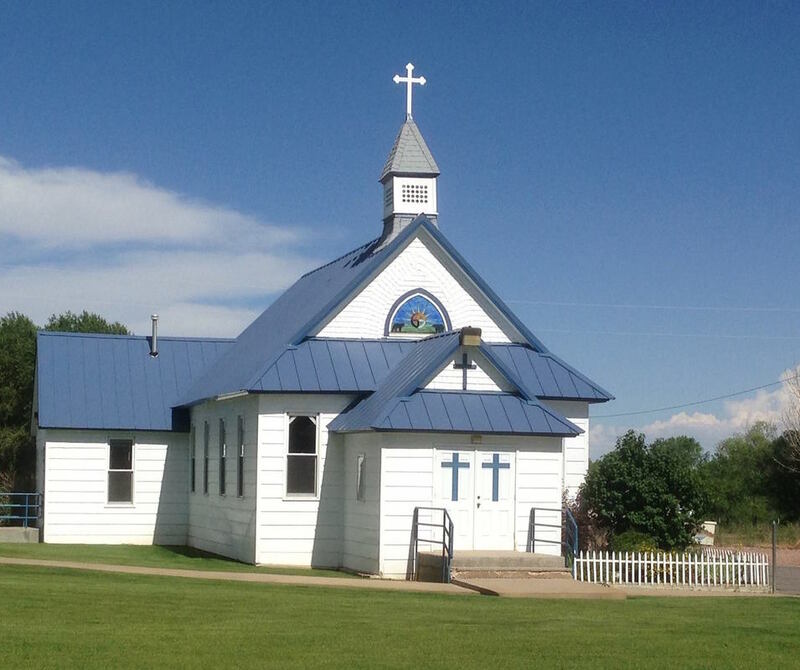 The church will be on your right—white buildings with blue metal roofs.